I am prejudiced when it comes to tourist guide recommendations. Firstly, they are usually based on some historic or architectural reason rather than the quality of coffee or food, and secondly they cause tourist overflows and stressed out staff. Unfortunately tourist places are in most cases by nature designed to serve: well…, crappy quality. Most local customers are less likely to put up with bad coffee, food and service at exorbitant prices just to see some old tiles and a chandelier. The first lonely planet suggestion the Lasipalatsi – mannerheimintie 22-24 confirmed all of my fears. First rude staff experience in Finland, no hot breakfast and only frequented by tourists… my expectations were accordingly low when we decided to leave this place to find the next one: Café Engel. Despite the touristy spot (next to the senate, in the centre of Helsinki) the place oozed with warmth and relaxed coffee atmosphere right away. And they served a really nice big hot brekkie including coffee and fresh orange juice for 12€! My cappucino (with soy) was served at the right temperature, with smooth crema foam. The taste was gentle but interesting and very smooth with very low acidity. The service was impeccable and long white candles added a nice cosy touch. 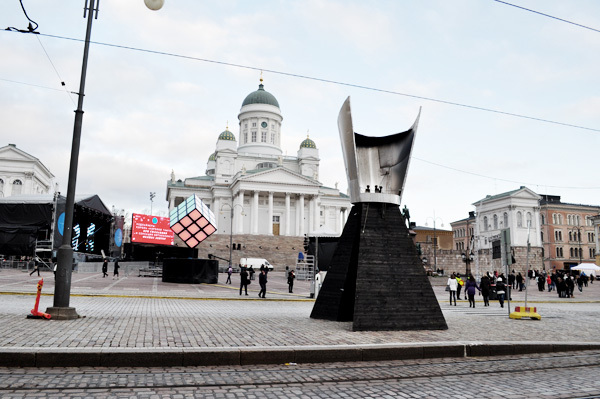 Looking out of the tall windows we could watch Helsinki getting ready for their countdown as the world design capital 2012. 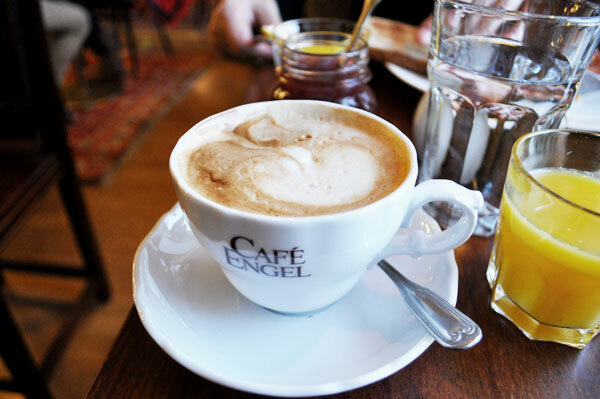 Café Engel is a welcome stop in Helsinki, nice atmosphere, good coffee and great breakfast in a very central location.